In this article i will explain about what is Scope_Identity(), @@Identity and Ident_Current. Difference between these three with example. All these three function Scope_Identity(), @@Identity and Ident_Current are use to returning last inserted index value from table. 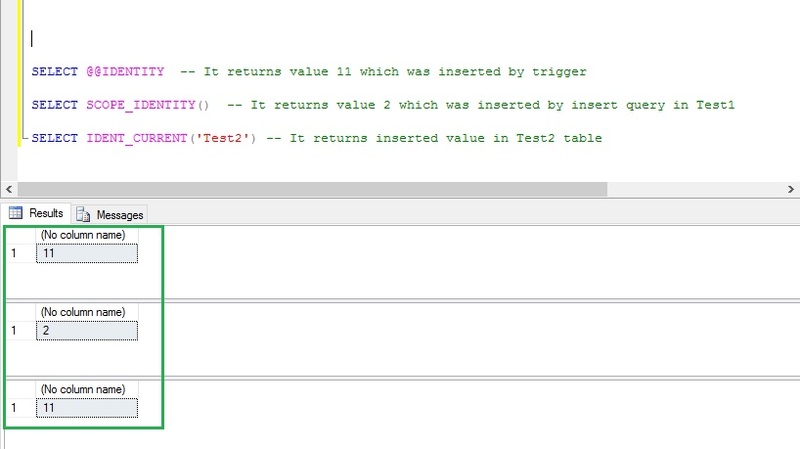 It returns last inserted identity value for any table in current connection or session and any scope.If you have trigger on your table then @@IDENTITY returns last inserted record Id by Trigger not by table. For example : If you are performing any DML operation in your table named A and table A having a insert trigger which is inserting row in another table named B then @@IDENTITY returns last inserted record Id from B table not from A table. It returns the last inserted index or identity value for any table in current connection and current scope. Scope_Identity returns different values in different connection or session just opposite of @@Identity. If you have trigger on your table then @@IDENTITY returns last inserted record Id from table. For example : If you are having a insert trigger on your table A and it will inserting record into another table B than Scope_Identity returns last inserted Identity value from table A. But If trigger is performing insert operation in the same table A then it will return last inserted value by trigger. Because it is working on same table . It returns the last inserted index or identity value for specific table in any connection and any scope. 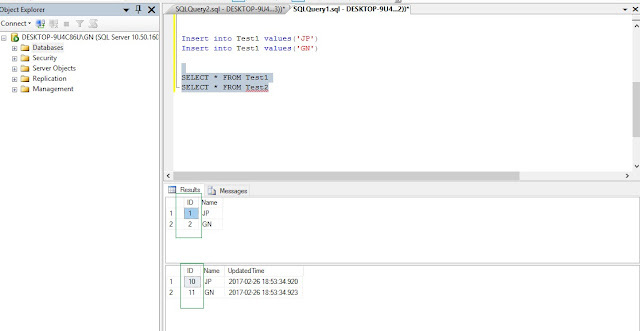 Means if any DML operation performs for particular given table in any session than it will return last inserted index value from that session or scope. It is not limited for any session and scope. 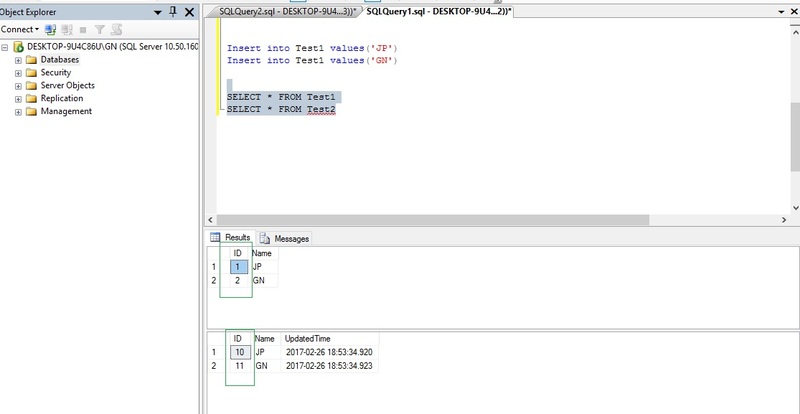 Let's have a look in below query. Here firstly i created a table and then create a trigger onto that second table for better understanding of these three concepts in a single execution example. After the table and trigger creation now time to perform the insertion operation.